In the UK in 2006, in a ‘Call for Evidence’, the Joint Policy Review on Children and Young People set up by H M Treasury and the Department for Education and Skills expressed a wish to identify risk and protective factors in four areas: family prosperity; parenting and parents’ behaviour; neighbourhood; and public services. A particular focus was to be on ‘Prevention’ (including ‘breaking the cycle of deprivation’) and on the needs of ‘High Cost, High Harm’ families. Such policy areas are, of course, of interest to all governments concerned with the well being of children in the context of social justice. This study, the first of its kind, provides an estimate of the taxpayer costs of father absence. More precisely, it estimates the annual expenditures made by the federal government to support father-absent homes. These federal expenditures include those made on thirteen means-tested antipoverty programs and child support enforcement, and the total expenditures add up to a startling $99.8 billion. 1. Father absence has risen greatly in the last four decades. Between 1960 and 2006, the number of children living in single-mother families went from 8 percent to 23.3 percent, and 34 percent of children currently live absent their biological father. 2. Father absence contributes to family poverty. In 2003, 39.3 percent of single-mother families lived in poverty, but only 8.8 percent of fatherpresent families lived in poverty. Some, but not all, of the poverty of single-mother families is a result of father absence. This is the first study to date* to estimate the cost of father absence to U.S. taxpayers via federal expenditures on programs to assist single-mother families. * To the best of the authors’ knowledge as of June, 2008. 3. The Federal Government spent at least $99.8 billion providing assistance to father-absent families in 2006.
include the Earned Income Tax Credit, Temporary Assistance for Needy Families (TANF), child support enforcement, food and nutrition programs, housing programs, Medicaid, and the State Children’s Health Insurance Plan (SCHIP). Federal benefits programs that benefit whole communities, or that benefit individuals regardless of income. Indirect costs related to the poor outcomes of children of single-mother families, such as greater use of mental and physical health services, and a higher rate of involvement in the juvenile justice system. Long-term costs in reduced tax income due to the lower earnings of children of single-parent families, and long-term costs due to the higher incarceration of children of single-parent families. it is difficult to determine how much of the $99.8 billion in expenditures is a direct consequence of father absence versus a consequence of the other factors that contribute to the poverty of single-mother homes. However, since father absence has become so widespread and there are $99.8 billion worth of direct costs to taxpayers associated with it, policymakers should devote more attention to reducing father absence. (such as increased use of mental health services and higher incarceration rates for children from father-absent homes) that result from father absence. 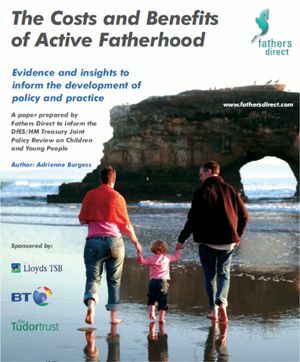 These costs may be significant and could be used to better inform policymakers of specific policy recommendations for combating father absence. 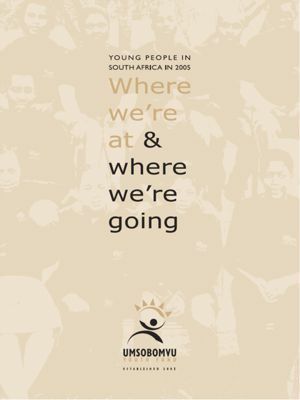 This report encapsulates the main findings of the Umsobomvu Youth Fund (UYF) Status of Youth Report (SYR), based on research conducted by the Human Sciences Research Council (HSRC) on commission to the UYF. The SYR was based on a literature review, secondary data analysis, and a national survey of young people, aged 18 to 35, carried out in late 2003. The report contains a very large collection of interesting and important data, organised under a number of headings including education and skills development; labour market participation; poverty and inequality; youth and health; crime and violence; and social integration and civic engagement. Only some of these findings are reflected in this shorter document. The SYR is just one of the ways in which the UYF has interacted with the research community, of which the HSRC is a crucial part, in providing a sound foundation for the developmental and information work – designing and outsourcing job creation programmes, supporting existing youth initiatives, supporting capacity building for service providers – with which the organisation is engaged. This short report has a different aim to the longer SYR. In particular, it relates the main findings of the study to the policy environment and to attempts, particularly by government and by government-supported bodies, to transform policy into practice. It is, therefore, both a report of research carried out, and a record of and commentary on the practice of youth development as it is evolving in contemporary South Africa with its strengths and weaknesses, its achievements and shortcomings. This report intends to make a case rather than simply to describe a situation. It comes from within the youth development community and, in a field where pessimism is rife, makes no apologies for highlighting what appear to be successful or potentially successful youth policies, not with the intention of handing out bouquets, or claiming easy victories where reflection and self-criticism may be more appropriate, but rather to identify what is working and to encourage more efforts along similar lines. a range of other reports, publications and conversations in the youth policy domain. In this document, bibliographic references have been kept to a minimum, and footnotes have been entirely eliminated. For details of this sort, the reader is referred to the SYR. Until recently, South Africa was a ‘man’s country’ (Morrell, 2001). Power was clearly held by men in public and political spheres. In families, the situation was no different. 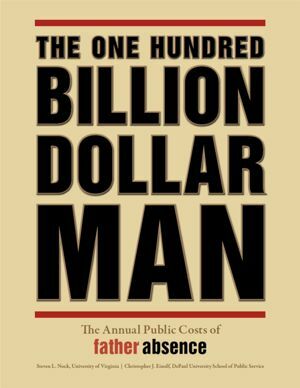 In both black and white families men earned the money, held the power and made the decisions. Men were often paid more than women for equivalent work done, and both custom and modern law discriminated against women. Masculinity and the advancement of women remain sensitive and contentious issues on the African landscape. Each culture has found different ways to express, protect and project male power. Each culture’s men have often paid dearly for their membership of this oft privileged gender. Yet, as is shown below, beacons of hope are slowly emerging from the debates and struggles for gender change as men are included more and more directly in the change process.